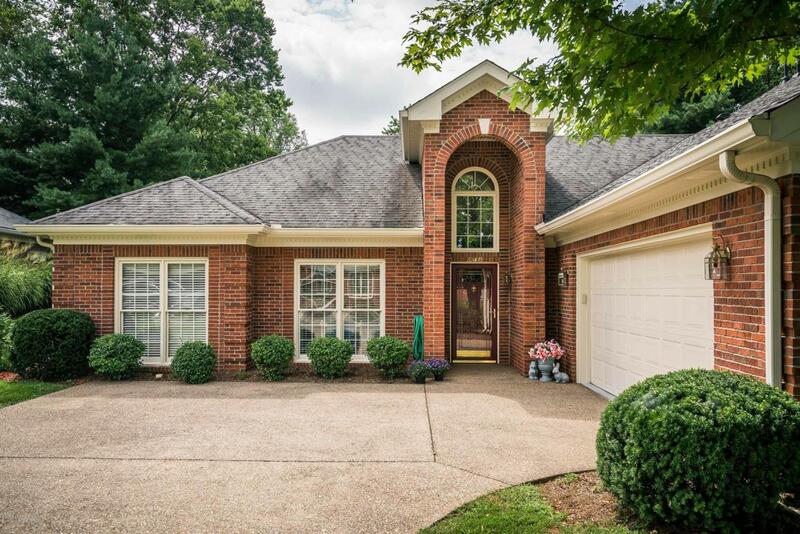 Sparkling custom built, one owner patio home has fresh paint & new carpet! Check out updated photos. 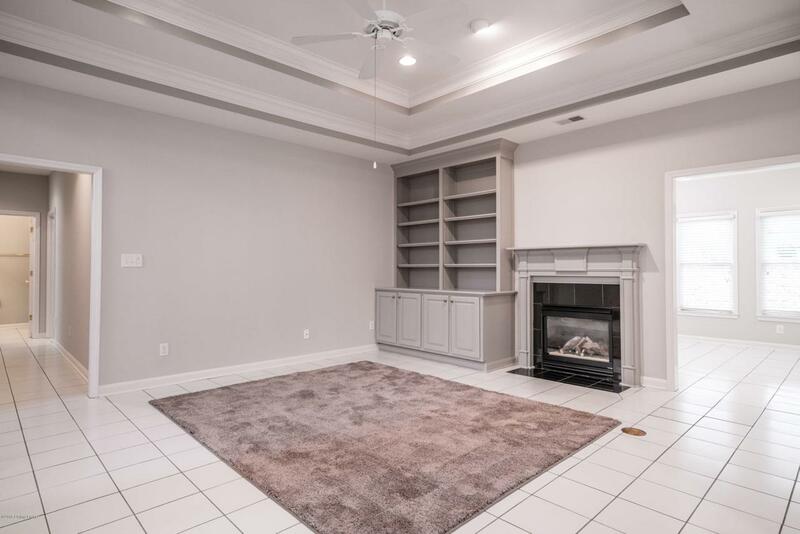 Great Rm with double trey ceiling, gas fireplace & built-in cabinet & book shelves is open to the Dining Rm with trey ceiling, & new light fixture. Kitchen with eating area has Oak cabinets (pull out shelving), pantry, and planning desk. Kitchen appliances remain~Dishwasher & Refrigerator 2 years old. 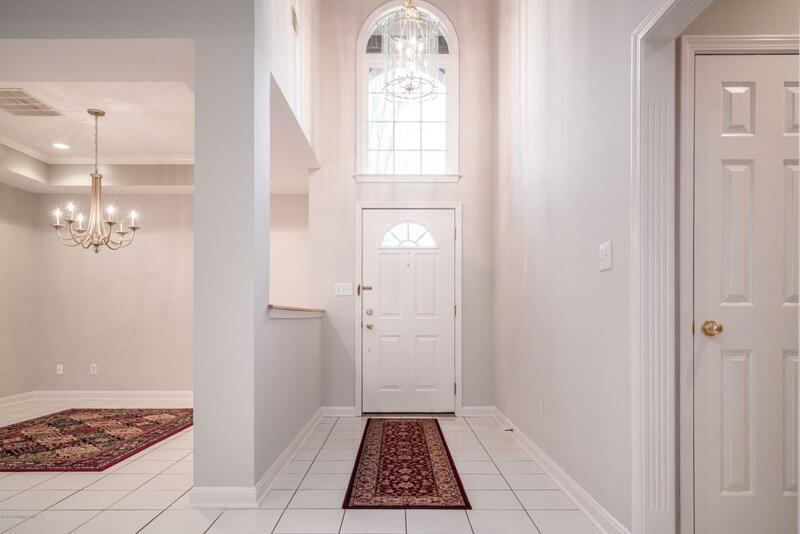 Spacious, light Florida Room overlooks yard and common area and has door to private patio. Huge Master Suite will accommodate king sized furniture with room for a sitting area. Master Bath has double sink vanity, large shower with dual shower heads on each side, linen and walk-in closets. 2 additional Bedrooms offer sleeping and/or office space. Hall Bath with tub. Tileflooring in Great Rm, Dining Rm, Kitchen, Florida Rm & Laundry. Laundry Rm doubles as a half bath with utility sink and commode (so convenient when working outside or in the garage! ), as well as a built-in ironing board, and laundry hook-ups, stack wash/dryer remain. 2-car garage with durable floor tiles and 2 closets. There is also a central vacuum system. Monthly HOA fee of $280 covers exterior maintenance including the painting of all exterior building surfaces, the repair, replacement and care for roofs, gutters, downspouts, exterior building surfaces, including doors and windows, and the repair, replacement and care of grass, shrubs, trees and other landscaping (not including irrigation). Wonderful ranch/one floor plan ready for new owner. 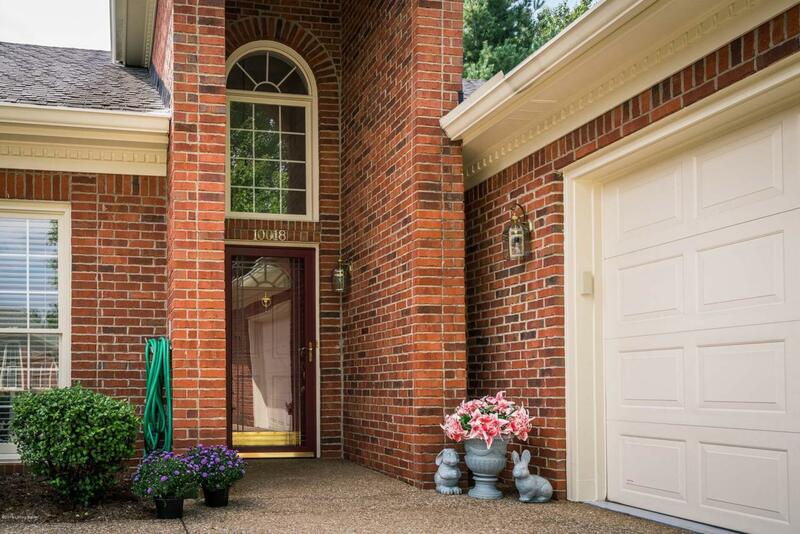 Great location off Hurstbourne Pkwy, close to restaurants, shopping, etc.